I know it's the middle of the busy summer season and marketing may be pretty far from your mind right now but winter is coming and I want to help you nail your postcard marketing. I’ve become a bit of an expert when it comes to postcards. I’ve seen first-hand how great ones bring in serious sales, while poor ones under-perform (and land in the trash). A good postcard can be a mover’s best friend in building that sales funnel. In fact, direct mail has a response rate that is 10-30 times that of email marketing and 23.4% of consumers will respond to postcards that are relevant to them. I want you to get the most out of your marketing dollars! I can’t tell you how often I see this oversight. The most common mistake is putting key info (like the phone number or website address) at the bottom of the postcard BELOW the "safety zone" margin for printing. 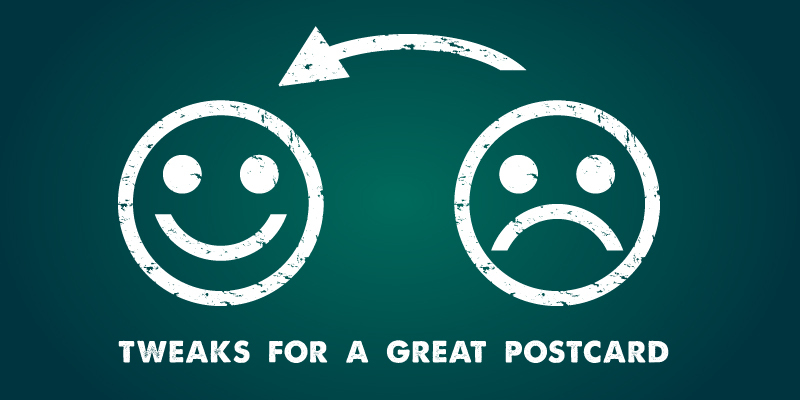 If you make that mistake, your info will be hidden under the postal service routing sticker. Want to make sure this doesn't happen to you? Check out our handy guide on margin specs for postcards. I’ve mentioned this before in 8 Simple Tips for Postcards That Sell, but it’s so important I’m going to repeat it. A single image can say a thousand words. The image you pick for your postcard has to capture the reader’s attention and tell your story in a glance. Make sure the image you pick tells a clear story. IS THIS THE FACE OF YOUR COMPANY? 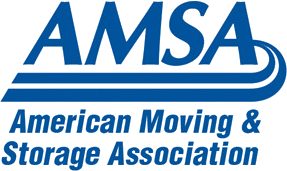 A photo of a moving crew who look bored, surly, or unkempt (no matter how awesome they are in person) is more likely to hurt your business than help it. Remember, people are inviting strangers into their home and trusting them with their possessions. So, make sure you capture the happy, respectful, trustworthy, and healthy vibe of your team! 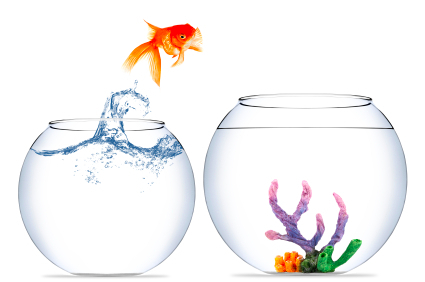 WHAT DOES A FISH HAVE TO DO WITH MOVING? I've seen this kind of postcard style a few times and it reminds to me that we can get too clever. A playful approach to the moving message can backfire because most people don’t "get" what it means in a single glance. I can say from experience, this approach doesn't do as well as more straight-forward images. SHOW MOVERS IN ACTION. IT WORKS. 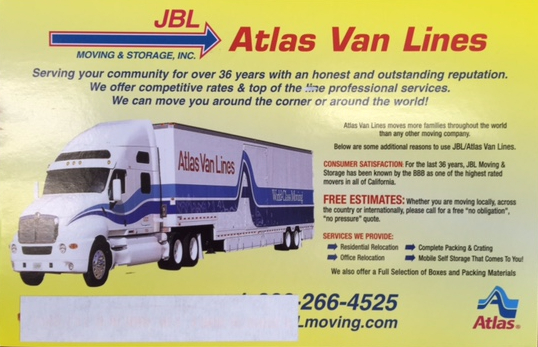 It seems simple, but postcards with a moving truck image or "movers in action" nearly always outperform other moving company postcards! 3. CLUTTER IS BAD - REALLY BAD. People are reading less and less. They want simple, easy to read content that they can scan in a glance and understand the key message. The more you try to cram into a 4x6 space, the less likely it is that people will read it. The same is true for visual design. If your postcard is full of patterns, crazy colors, and busy visuals, it becomes a chore to try to read. Trust me, people won’t do it. Keep your message simple. Have a single "ask" and stick to it. Remember, you're not trying to close the deal - a postcard is meant to entice people to take the next step and contact you. Don't skimp on that headline. It's a key ingredient in the success of your postcard. Take time to put together a headline that has an impact and clear message. Try a few out on people (colleagues, friends, strangers) and see which has the most impact. Don't confuse your reader. The front and back of your card should have headlines that tie together nicely. Plus, you don't know which side they'll look at first. Both should be strong and clear. This is one of the truly key elements of every piece of marketing material. Don’t overlook the importance of a solid call-to-action. Simply put, what is the NEXT thing you want people to do (ie: go to your website, call right away, email you)? That’s what you have to ask them to do. Here’s a my recent blog post to help you create an impossible to ignore call-to-action. And, I also liked this article with 14 CTA Design Tips. Every click counts! In this case "who are you" is not a deep philosophical question - it's about trust and brand identity. People need to know who you are. So, don't forget to get your logo and branding on that postcard. Include your return address. It may seem like a small thing, but I urge you to always have it. There are a lot of bad apples out there and a physical address helps build trust that you're one of the good guys and a legitimate business. This may seem like a strange place to talk about your website, but trust me, it's completely relevant. This is the digital era. No matter how awesome your postcard is, 90% of people will use it to look your business up online. 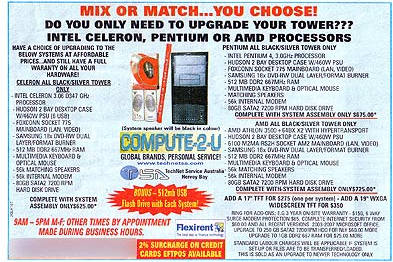 If you have a terrible website, it's going to impact the success of your postcard. Do yourself a favor and give that website some love. It's easier and cheaper than ever and totally worth the investment. That's it for today. If you'd like to go deeper into what makes a great postcard, check out my post on 8 Simple Tips for Postcards That Sell.